The Coin Gallery welcomes everyone from beginning collectors to experienced bullion buyers. Whether you’re looking for a single coin or plan on making a large purchase, the Coin Gallery is here to help you find exactly the right coin for your collection. Among the extensive Coin Gallery inventory are proof coin sets for gift items, bulk silver coins such as silver dollars, classic pre-1933 gold coins, and PCGS and NGC certified American Gold Eagle coins. Coin Gallery carries a wide range of standard gold and silver bullion products, including the most popular gold coins. In the same location for almost three decades, Coin Gallery has a newly remodeled and expanded showroom featuring more types of gold and silver coins than ever. This coin shop also offers appraisal services, and is a direct cash buyer of all precious metals and numismatic collections. This is one of Arizona’s most complete and customer-friendly coin shops. 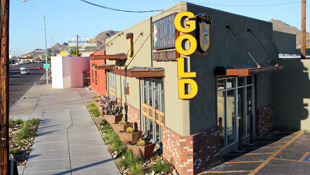 Arizona Gold Exchange has been in the business of gold since 1989. It began as a small Phoenix coin shop, and has grown into a chain of three pawn shops and coin stores specializing in gold and silver. Their business philosophy is built on a foundation of respect; they guarantee quality products and helpful service. They want every customer to be able to leave satisfied, knowing they got the best coins at the best value. 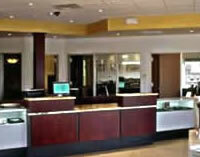 Their inventory consists of both new and preowned gold and silver. The wide selection available here includes gold bullion, silver bullion, and rare coins, including American Gold Eagles, Canadian Maple Leafs, South African Kruggerands, Chinese Pandas, and .999 gold and silver bullion bars and rounds ranging from one gram to one kilo. 9017 N. Cave Creek Rd. 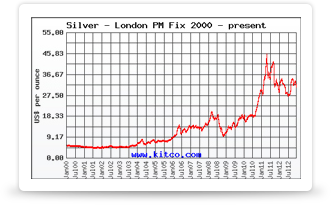 American Precious Metals Inc., or APM, was established in 1994. Products include silver coins, gold bullion, and gold numismatic coins form around the world. including the American Eagle, Austrian Philharmonic, and Australian Kangaroo. APM also offers certified coins and helps investors set up precious metal IRAs. The shop is frequently able to sell coins at a discount when buying in volume. If you are looking for something specific and APM does not have it in stock, they will do their best to find it. In addition to in-person purchases directly from their office, APM also ships orders nationwide. More an office than a storefront, APM nevertheless welcomes beginning collectors and experienced investors alike.